How can it be that gentlemen have been wearing essentially the same uniform for business attire for almost 400 years? The suit, the traditional form of mens formal attire in the Western world, is an ensemble of garments, usually matching in fabric and color, and usually consisting of a jacket and trousers. It has evolved through many styles of acceptable fashion for some four hundred years, beginning with the elaborate ensembles of brightly colored matching coat, knee breeches and the waistcoat of 17th century France – the fashion of the upper-class male. Dandy & suit pioneer, Beay Brummel. At the beginning of the 1800s, it was Beau Brummel, known as a British dandy, who ironically toned down the fashionably foppish styles of previous times by introducing sober colors for day wear in the tightly fitting tailcoat with non-matching (usually pale-colored) trousers, pale waistcoat with white shirt, cravat and tall boots. Thus, Beau Brummel can be credited with introducing and establishing as fashion, the prototype of the modern mens suit, worn with a necktie which replaced the cravat. 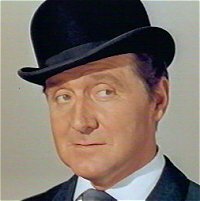 Also, Brummel can be credited and thanked for introducing the bath as part of a man’s daily grooming. By the 1830s, the frock coat, characterized by a knee-length skirt, became the standard of the day. This gentlemans coat fitted tightly at the waist with a center vent at the back. The double-breasted version was known as the Prince Albert (after the consort to Queen Victoria). By the middle of the 19th century, as it was the gentlemans tradition of taking morning rides on horseback, the frock coat gave way to the newly styled morning coat. It was less formal, with a cut-away front that made it ideal for riding. Morning dress and the frock coat were not considered suits because the trousers did not match the coat in color or fabric. Still, the frock coat remained the standard for all formal and business occasions; a tailcoat was worn in the evenings. The evolution of todays business suit was heavily influenced by the British. 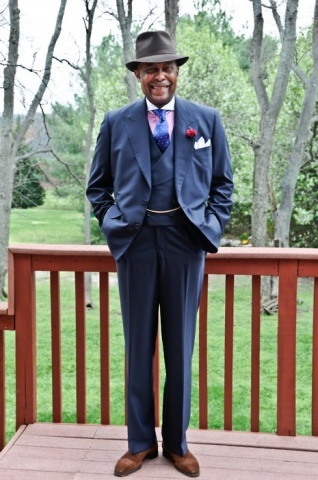 The business suit originated in Britain in the late 1800s as the lounge suit. The lounge suit had matching jacket, trousers and was initially meant for sports events or seaside and country settings. The dinner jacket, or “dress lounge,” worn with black tie, came into being at the same time as the lounge suit and was intended for wear at informal evening events. This invention was a direct descendant of the “white tie” dress code associated with the evening tailcoat. The new tailless dinner jacket, once imported to the United States, became known as the tuxedo – the name given to it from the town of Tuxedo Park, NY, where it is believed to have made its debut at The Tuxedo Clubs formal Autumn Ball in October 1886. The tuxedo gradually gained acceptance as the proper dress for semi-formal occasions. “White tie and tails” remained in fashion for large formal events. The basic elements of matching jacket and trousers have undergone several variations of styling. Before WWI, the “sack suit”, a variation of the lounge suit, was first considered suitable only for the laboring classes. 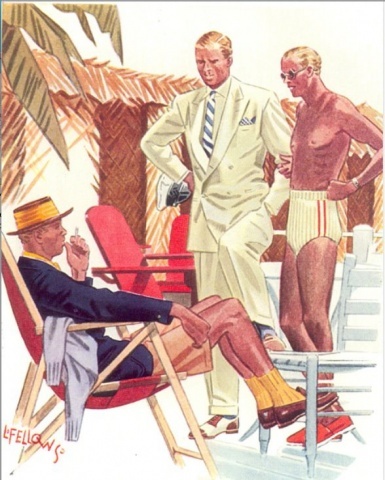 After the war, most men wore the short lounge coat with wide, straight-legged cuffed trousers. Trousers first began to be creased in the 1920s. The name, sack, refers to the cut of the back of the jacket – formed of two pieces only, cut relatively straight down. 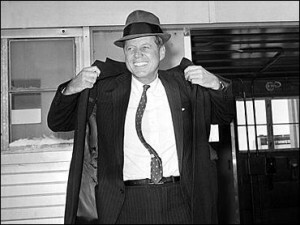 In the late 1950s Brooks Brothers promoted the sack suit –natural shoulder single-breasted suit jackets – as the “Ivy League” style. Before 1935, snugly tailored coats and waistcoats were the preferred style. Loose fitting coats were introduced in 1935 and trousers began to be tapered at the bottom and suit coats began to have tapered arms. 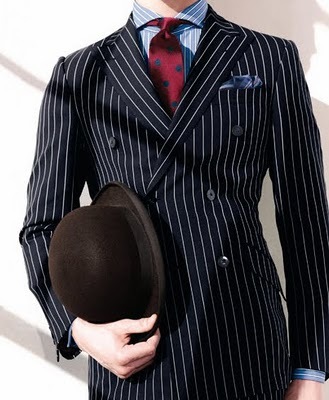 Throughout the 1940s and 1950s modernization of the suit drove the trend to simplify the suit as much as possible. 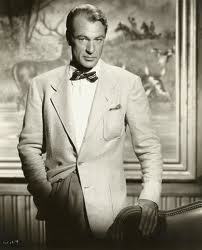 For example, the wide peaked lapels of the 30s and 40s continuously shrank to a narrow width by the 1960s. In the 1960s the mans suit had taken on notable changes in designs, cuts and cloth such as the Mandarin-collared Nehru jacket and jackets made of mohair fabric. The double-breasted “power suit” made a brief appearance in the mid 1980s. In contemporary times, the suit is less commonly worn as fashion and has been influenced by casual dress. Tailor-made garments, known as bespoke suits keep the age-old tradition of the man selecting his cloth and having it made to his measurements, taste and style. Whether two or three-piece, single or double-breasted, the social setting and type of work determine the appropriateness of the suit.